The community dates from 1837 when first settler (Captain) Nelson Merrill arrived. He opened a store a short time later (which became the community post office in 1851). Although the population was a mere 35 residents by the mid 1880s, the community was self-sufficient with its own gin, gristmill, store, church and school. Ten years later the population had risen to an estimated 100 residents. The post office closed the same year as the one in nearby Duval, Texas and soon both towns were on the route of the Round Rock post office. Merrilltown schools were merged with Round Rock and Pflugerville schools in 1949. 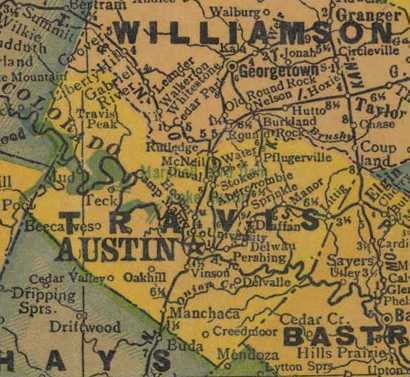 Although some houses marked the community on the Travis county map in the 1940s, Merrilltown has disappeared after being annexed by Austin.